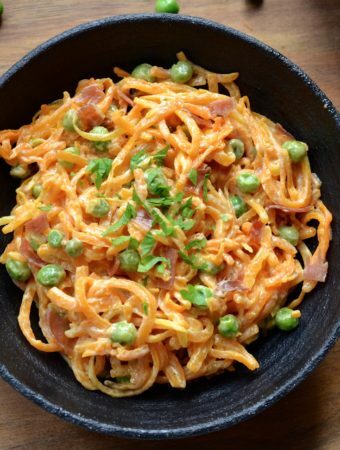 Vegetarians and vegans rejoice! 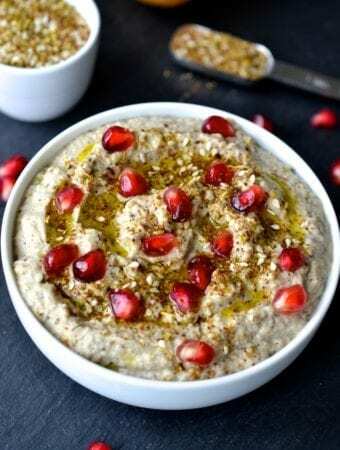 Put down the vegetable skewer and step away from the bean burger because I have something new for you to enjoy at barbecues this summer. 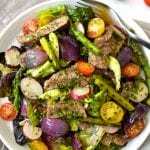 My all time favourite most versatile vegetable is at it again, and this time it’s taking the place of steak. 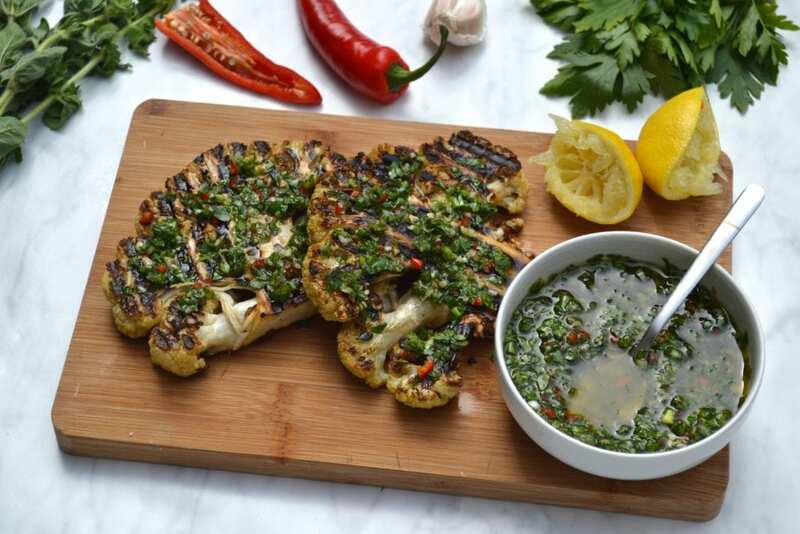 In this recipe a head of cauliflower is cut into steaks, grilled and then topped with a vibrant chimichurri sauce which is packed full of herby, acidic and spicy flavours. 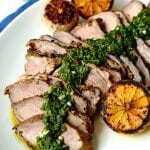 The chimichurri recipe below makes a large amount so you may have some sauce leftover, which you can serve with steak or chicken. 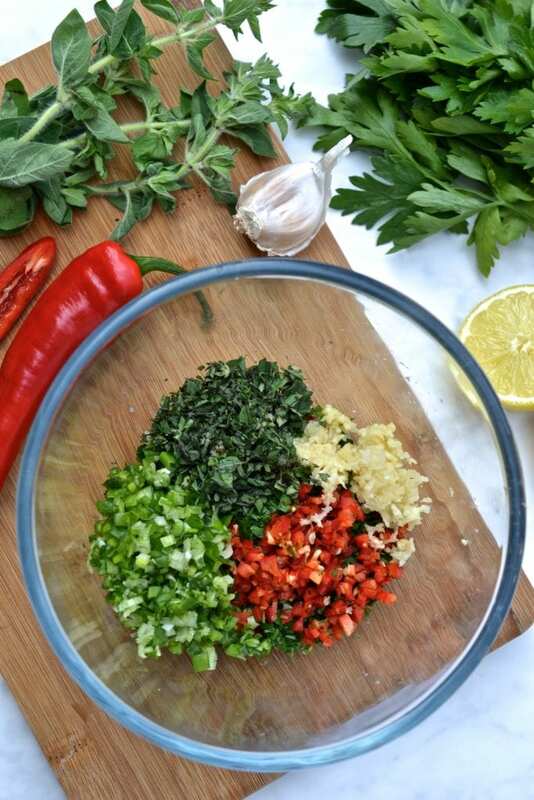 I prefer to hand chop the herbs, chilli and spring onions so that the sauce is a bit chunkier but to save time and create a smoother sauce you could alternatively throw everything into a blender or food processor and pulse. 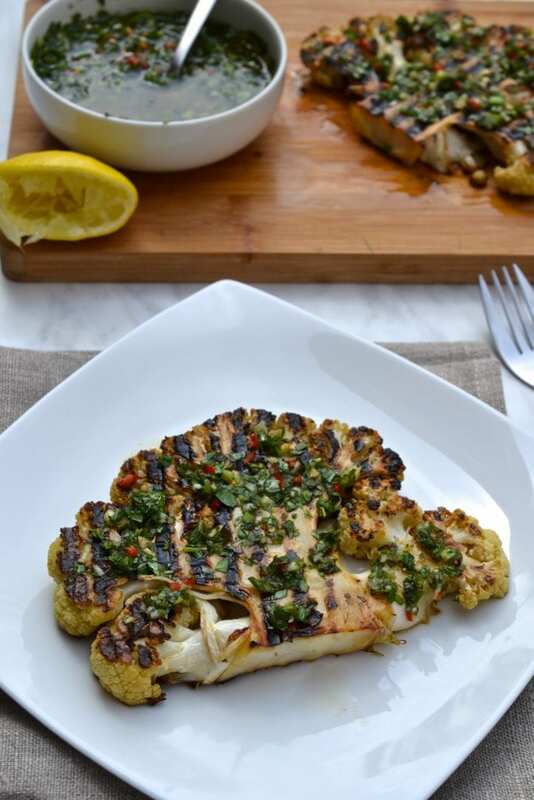 This is an incredibly easy recipe to make, but some caution should be taken when cutting the cauliflower steaks. 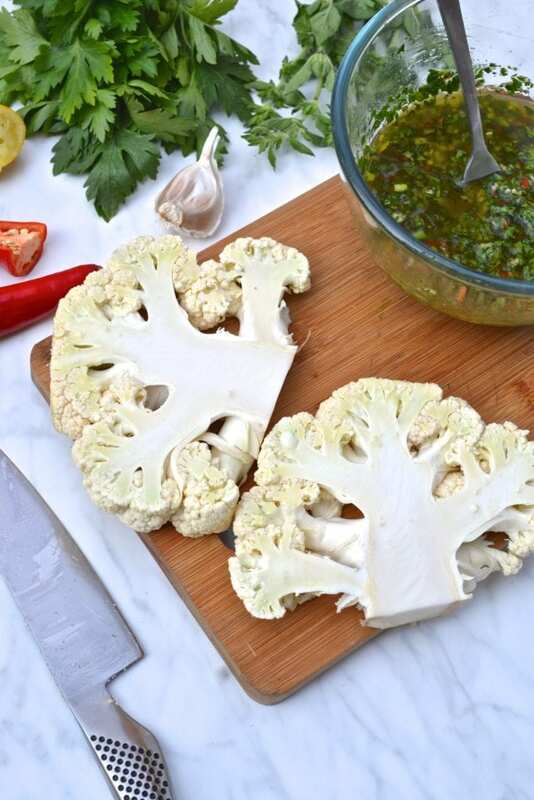 The 4 steaks will come from the center of the head of cauliflower, but be sure that a portion of the stem is included in every steak so that they hold together. 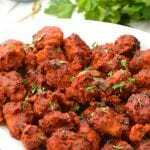 You can serve these cauliflower steaks as a main or filling side dish to vegetarians and meat eaters alike. 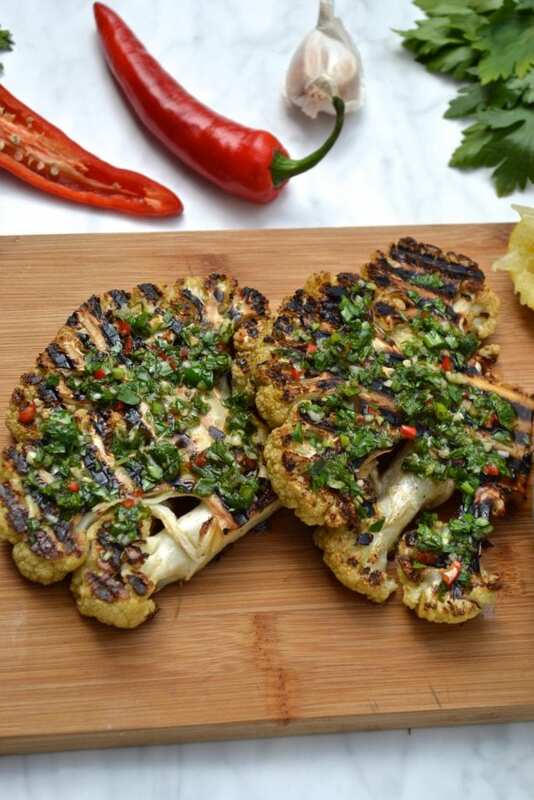 You can enjoy the cauliflower steaks for 3 to 4 days after grilling and the chimichurri will last slightly longer. Turn on the barbecue to medium heat. 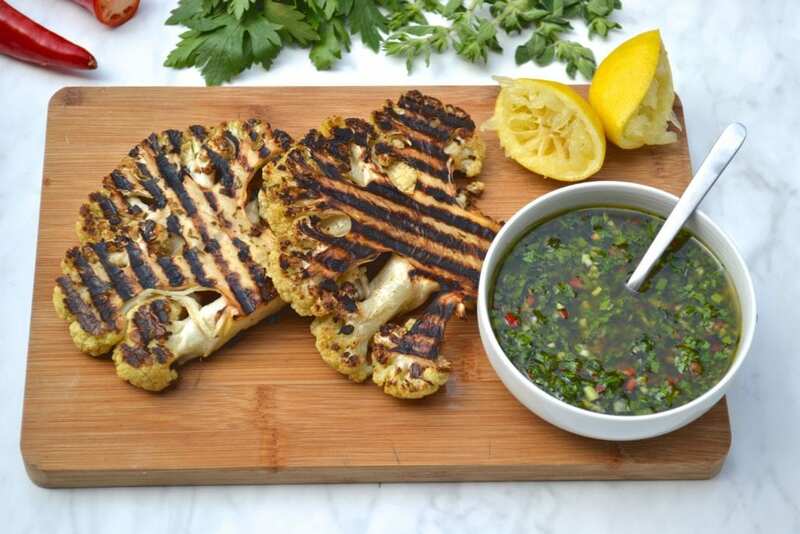 To cut the cauliflower steaks, remove the leaves from the base of the cauliflower and cut the cauliflower into 4 steaks that are each 1/2 inch thick, being sure to get a portion of the core in each one as this will hold them together. 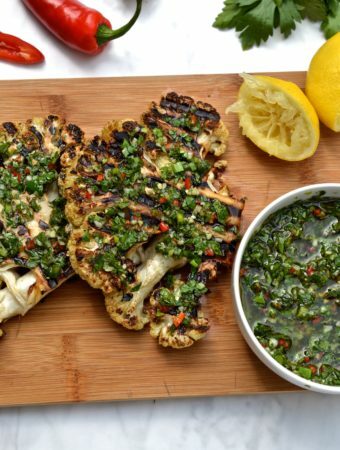 In a food processor combine all of the ingredients for the chimichurri and blitz until smooth. 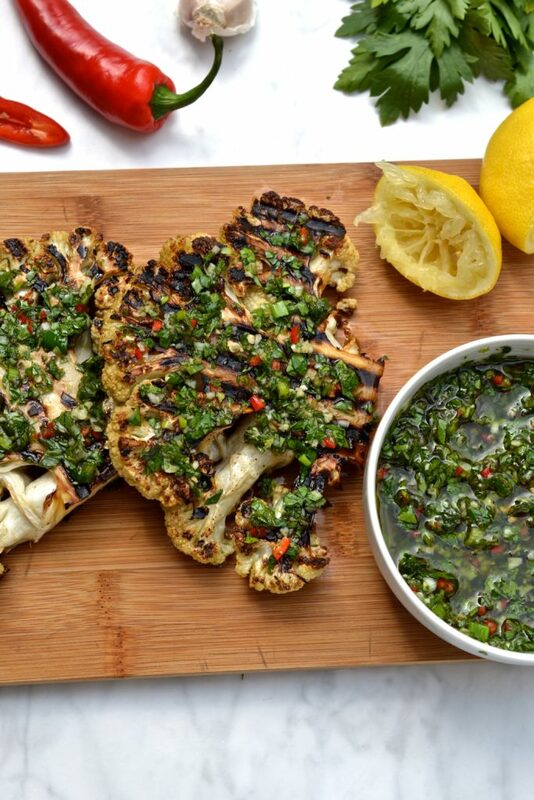 Brush the top side of each cauliflower with a spoonful of the chimichurri sauce and then place the steaks oiled side down on the grill. Close the lid to the barbecue and let the steaks cook for 5 minutes. Brush the top sides of each steak with chimichurri sauce before flipping them over and grilling for another 5 minutes. 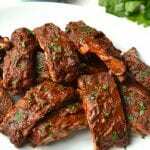 The steaks should be tender with darkened grill marks on both sides. 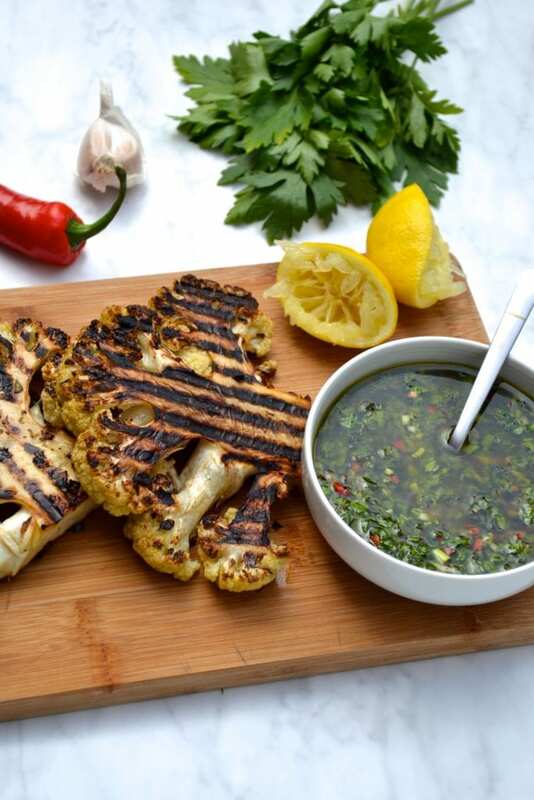 Serve the cauliflower immediately with the chimichurri evenly spread on top. 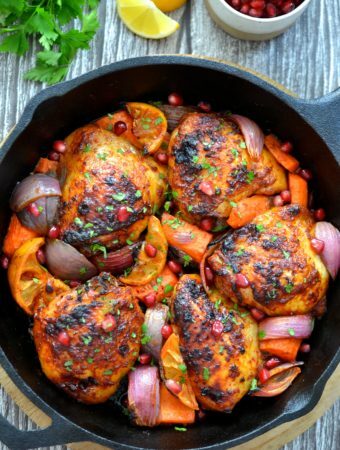 This is absolutely delicious and so flavorful! 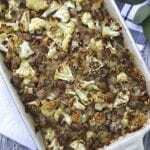 My favorite way to eat cauliflower so far. 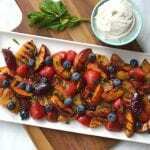 We used the extra chimichurri on a piece of salmon to have with it. Such a great sauce! 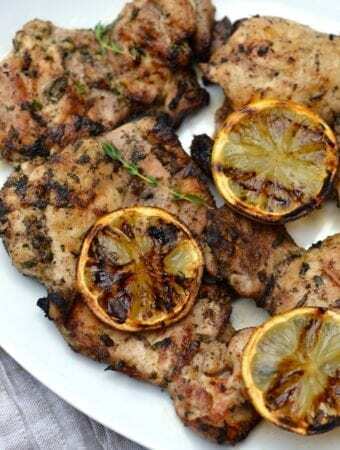 You could make these in the oven or on a sandwich grill if you don’t have a BBQ. 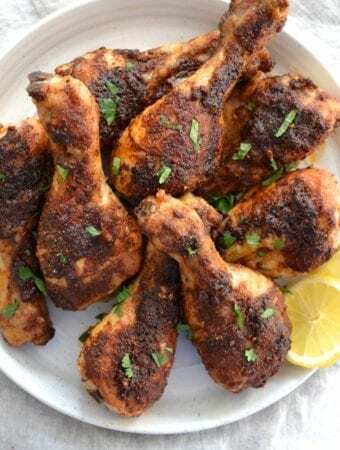 These taste just as good reheated the next day, so yummy!